And high current coil drivers ( ignitors ) also create EMI. Some more than others depending on design. Another reason to keep them out of the ECU box. Megasquirt seems to be one of the few Standalone manufacturers who put the High Current coil drivers ( BIP-373 ) inside the ECU case. Some builders add extra shielding around the BIP-373's or put them in an external enclosure. Especially if you use multiple BIP-373's. Probably the BIP-373 is on the low end of EMI emissions compared to other types of High Current coil drivers. I'm not sure. But off hand, I can't think of any other standalone ECU's that include internal High Current coil drivers. Most, if not all, use external Ignitor modules of some sort. Every OEM manufacturer does this as well. Anyone have experience with ITM valves? I scored a fantastic deal on a P79 head. All new bronze guides, all new valves. Head looks like it has just had a very, very light skim. This thing looks almost Virgin. But I'm worried about the valves. The valve stems appear to have a slight dimple effect to them. Very fine... but it's thee. Not the mirror smooth finish that you normally get on factory valves. Brand is unknown. They do not appear have a Chrome finish like the factory valves. ITM valves are a reasonable price. I believe that is what my engine builder used when he re-built my engine in 2014. Heads looked a bit bulky. But I didn't get a good look at the stems. Haa Haa . Just had a big argument on Guild Of EFI Tuners on why a simple MBC can sometimes be the easiest solution to Boost control on a DD. Big arguments that B&S MBC is archaic, didn't have Boost taper, Boost per gear, Traction management etc. Millennials couldn't grasp the fact that not everything has to be electronic. OP was fighting a Boost curve that wouldn't stay linear with his MS2 Boost management ( MS3 Boost management is much more sophisticated than MS2 ) I suggested a simple B&S MBC as that would be more than sufficient for HIS needs. Man you should have heard the whining and bitching from the Internet coaches. Check with WilWood. There is a recall on some of their MC 's. https://www.wilwood.com/Pdf/Recalls/RDCONL-17E030-0986.pdf Recall was on 7/8" tandem cylinders, but I've heard reports of some of the 1" cylinders failing as well. Happened to my buddies Camaro with a WilWood 1" Polished MC. Are these available to fit the D585 Yukon Truck coils? Turbo race car, high or low compression ratio? Modern combustion shapes that are not detonation prone and cooling of head really affect this. I do know that some of the 510 crowd are running really big compression with AV gas or racing Fuel ( VP C16 ) . E85 would work as well. Example 1: Turbo 2.1 Liter 510 with 10.3 CR on 16 lbs boost making 300 RWHP. Track day, Autocross and Hillclimb car. Can be driven on street. Water/Meth injection . Owner brews his own street fuel in garage for cruises!!! Not the safest or most practical option. No E85 here. VP C16 for track. Carburated!! But very well sorted. 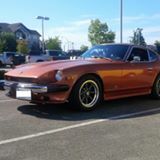 Example 2: Local 240 Z on low compression . L28 all the tricks including big intercooler and C16 Race fuel, but can run on pump gas with reduced Boost and Water/Meth. Makes 450 RWHP. Can't remember exact boost, but I think it was around 15 lbs. MS2 ECU. It would be fairly rare for a L-series to skip a Tooth. On the chain. Particularly on a fairly new engine with only 18K on the chain. I think there are other issues going on here. PM sent. Help is on the way. You're welcome Derek. We cam work on the rest of the Tune a bit later. I don't give a F**k what MSD advertises. The engineering papers on this coil and field experience from knowledgeable racers who have run this coil on Inductive say otherwise. And I ran it on my 1976 280 Z . Have you ever run one one. have you ever run a MS ECU or tuned one? Stick to things you know about ZH. You are clueless on this subject. BTW... for newbies to this Forum. ZH likes to Troll my posts. Don't feed the Troll. 1: Remove the condenser. Not needed with Ms and could be causing an issue. 2: Plug gap .041" is way to large on a Turbo engine. I suspect you bought NGK plugs with a -11 as a suffix. Such as BPR7ES-11 Those are wide gaps. Get the Iridium or regular Copper core NGK plugs with no suffix. Such as BPR6ES or BPR7ES ( 7 is a colder heat range ) . The NGK plugs with no suffix come pregapped to .031". Gap them down to .028" if your Boost is higher than about 8 psi. The Wide gap plugs cannot be gapped down to .028" without putting a weird angle on the side electrode that will wear excessively fast. 3: I'll look at your .msq later this morning. Have a Remote Tuning session scheduled. Grounding is also very important . Particularly with a Nissan Optical distributor. The MS ECU main ground should be grounded on the Intake manifold. As per MS Extra instructions. The factory ground point on the Intake manifold is ideal. Do NOT ground the ECU to the Chassis or worse to the Battery negative terminal. The starter can pull over 150 amps when cranking and this can induce enough voltage in the ECU ground wire to feedback and disrupt or even damage the Microprocessor. The ground wire on the 4 prong plug should go back to the ECU sensor grounds. Then add an additional ground wire from the distributor body directly to the Intake manifold. And make sure that there is a good ground connected from the engine to the Chassis grounding stud on the Firewall. PS: What new condenser are you referring to? There is no condenser used on the 280Z distributor. At least not like on a points system. What precisely is your Coil make and model? What plug wires are you running? What plugs and plug Gap are you running. Next post up your CurrentTune.msq and I'll have a look at it. You probably do not have the dwell times matched to the coil. Certain coils, like an MSD Blaster 2 require a LOT of dwell. The MSD Blaster 2 is a poor choice for an inductive ignition. They are designed for a CDI ignition and just don't have the correct properties to work well with an inductive ignition. The stock Nissan 280Z coil will put out more sparkenrgy than an MSD Blaster 2 coil,, unless you really crank up the dwell to the MSD coil. It is a very slow saturation coil when used on Inductive ignitions. Well... seems the Needles and seats aren't sealing. Now you have to find the cause. Either some trash in the N&S, N&S gummed up or possible floats are " Heavy ". Nitryl floats can absorb gas with age and sometimes Brass floats get pinholes in them. Usually at solder seams. Checking float level may not uncover a " heavy " float or a slightly leaking N&S. Only way to teall is to weigh the floats with an accurate scale. Brass floats you can hear the gas sloshing about inside. Stev. Too bad The510realm is still down. The thread there on CV Conversion problems is excellent. Hopefully the site is back soon. I'll PM you with the consensus of the group. Jim... I was going to Knox. Not sure now. Hotels should be dirt cheap. Because the Highways in BC will be empty. No one can afford to drive to Vacation spots in BC anymore. Z240... is that you Jim? Edit: Why yes it is. Still going to Knox? Bring a Tanker with some cheap Alberta fuel. You could make a killing. Frackin' stoopid NDP!!! $1.58.9 a liter for regular and still going up. $1.71.9 for 91 Octane. That's $6.88 per US Gallon for our USA friends. End Rant. Back on Topic. You're going with an MS2 as I recall. Is that correct? What version Mainboard and firmware? But I think you are fairly close if memory serves me correct. You may be one tooth off. I can't remember is the Missing Tooth counts as #1 or not on EDIS. I'll check a bit later when you can confirm biard version number. Don't trust the timing damper. The rings can slip. Physically confirm TDC with a long thin Screwdriver touching Piston dome. Hand rotate engine and feel for Piston rising as it approaches TDC. At TDC piston will pause, then go back down. The pause section halfway between Rising and falling is actual TDC.